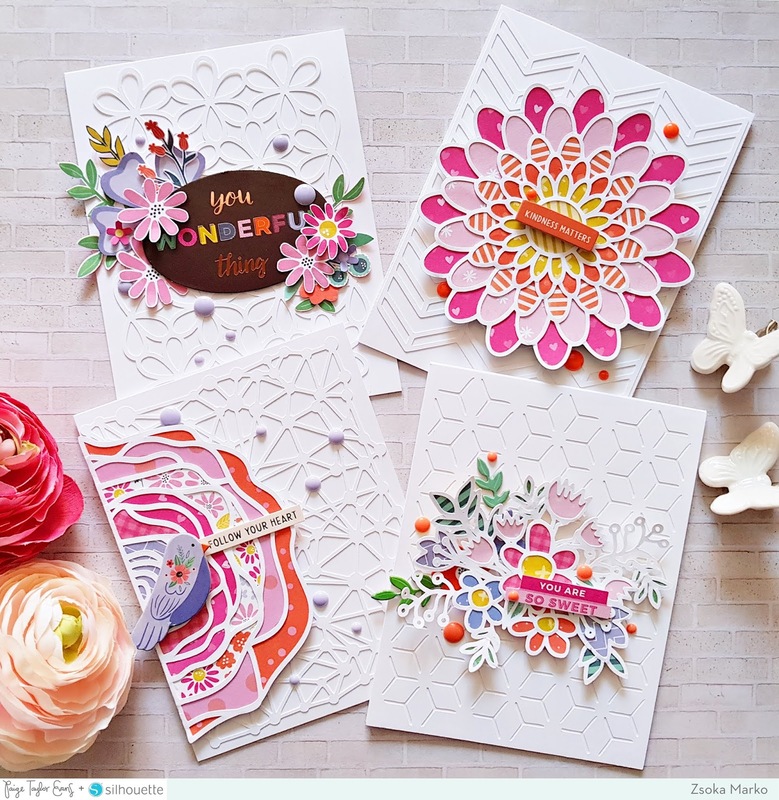 Check out not one, not two, not three, but FOUR absolutely stunning cards by design team member Zsoka using Oh My Heart! 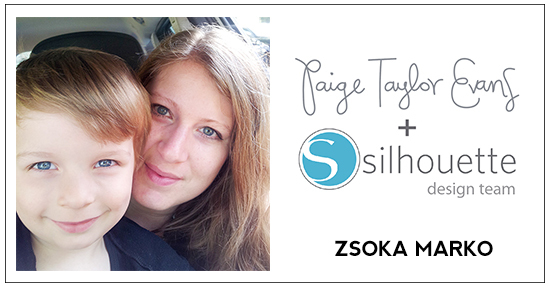 Hi guys, Zsoka here with you today sharing a bunch of cards I've created for the Paige Evans + Silhouette Design Team! If you know my work, you know that I'm not into white space on my layouts. Normally I avoid it on cards too because I love patterned papers too much but on cards I do love the white on white look! 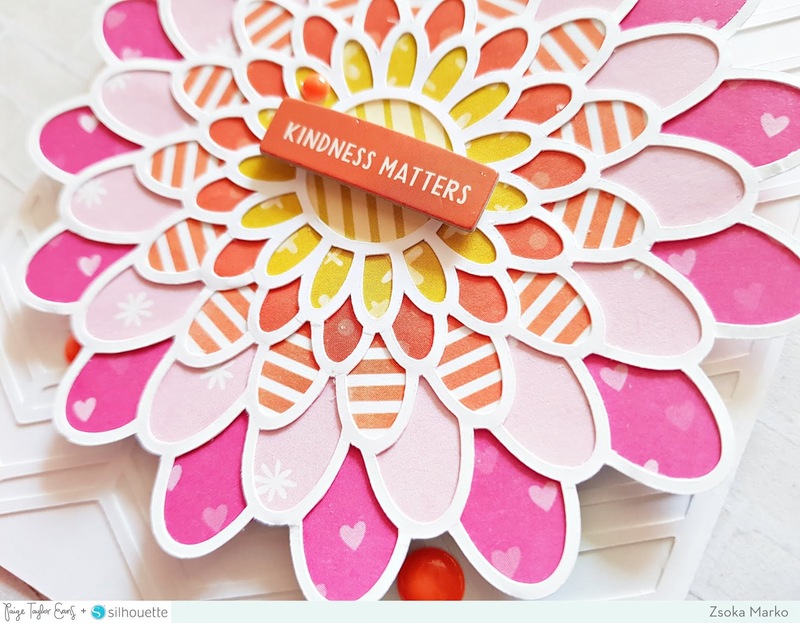 Since I haven't made such cards for this DT yet, I thought I'd go ahead and create a few! I made four A2 size top folding card bases out of heavy weight white cardstock and adhered another white cardstock in the same size on top. 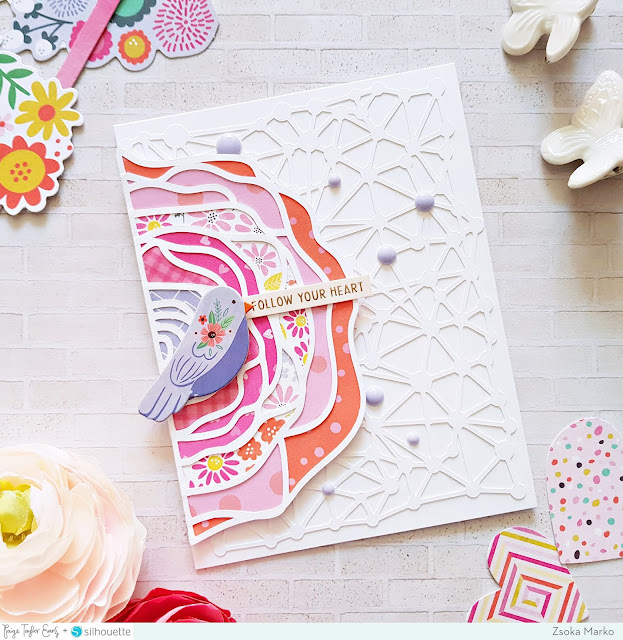 I do this because the cardstock I use for the card base is a greyish white which I don't like, but the white cardstock I use for the front panel is not sturdy enough for a card base. I cut the Constellation Background cut file from white cardstock. Paige now has many of her cut files available in 8.5x11 format which comes in pretty handy for cards. 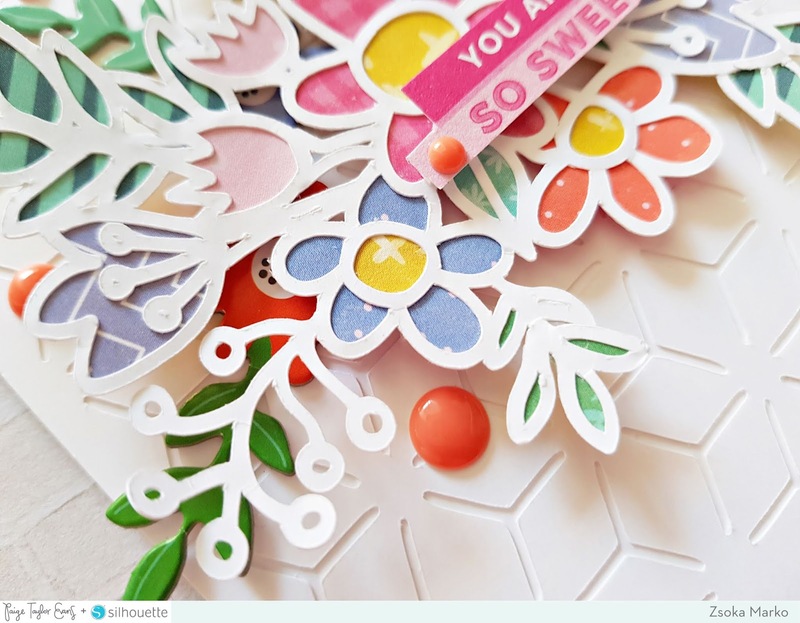 No need to crop or manipulate 12x12 cut files! Then I also cut the Flower Half cut file from the same white cardstock. I backed it with different patterned papers then adhered it to my card base using foaming adhesive. To finish off this card I added a chipboard bird and a sentiment sticker as well as a few enamel dots. 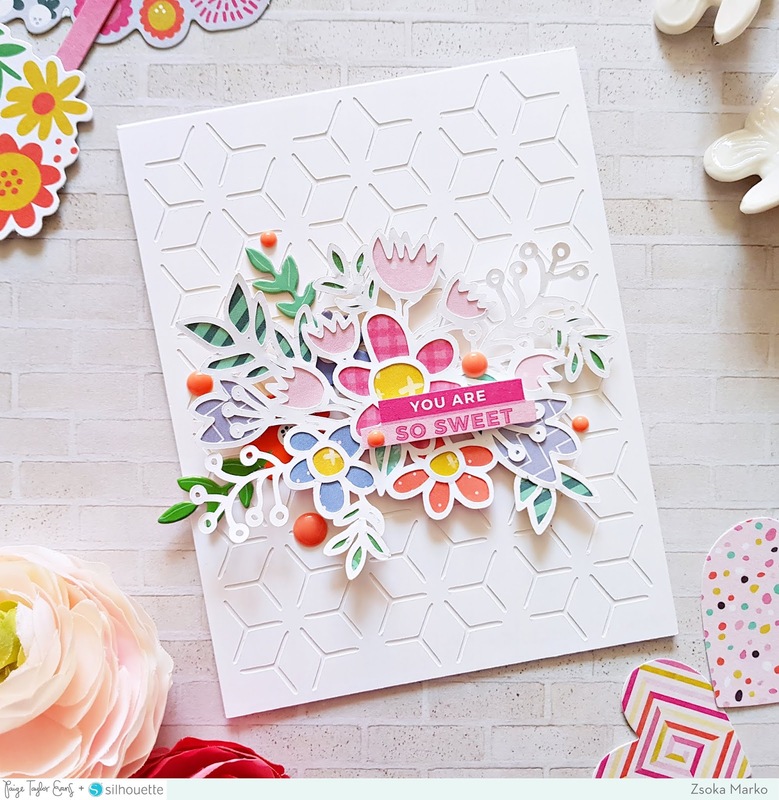 For my next card I chose the Faux Flower Background cut file. Since this one is a square cut file, I had to manipulate it - but this is very easy, you just need to erase some cut lines. Once cut, I attached this panel to my card base. I cut the Flower Group cut file next and as before I backed it with patterned papers. Using foam tape I glued it down on the card base. 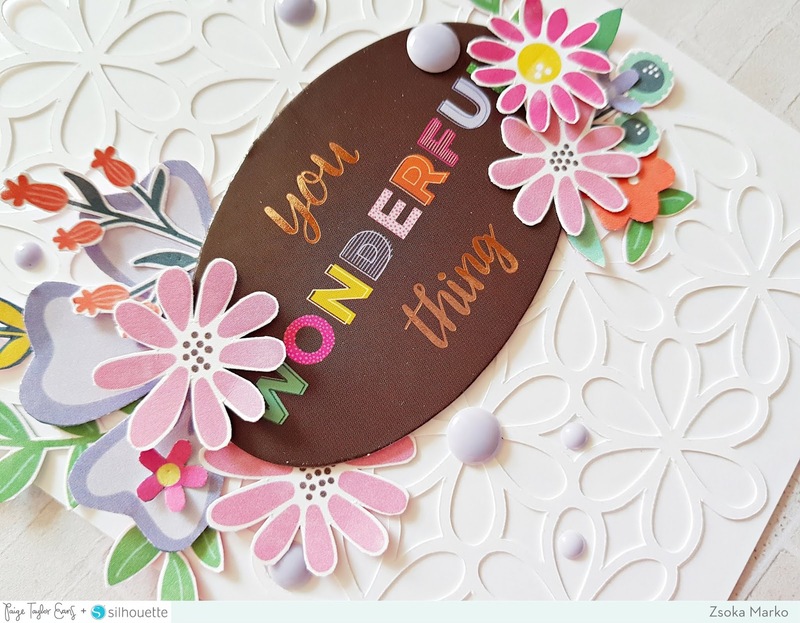 I added a sentiment sticker and some enamel dots to finish up this card. 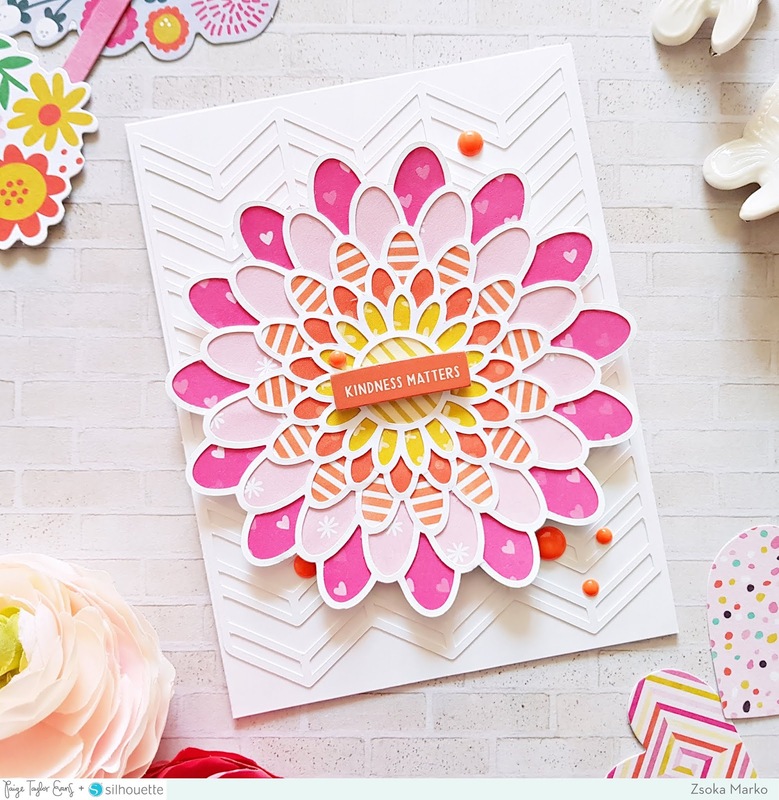 On my third card I used the Chevron Background and the Large Flower cut files. All steps as before! 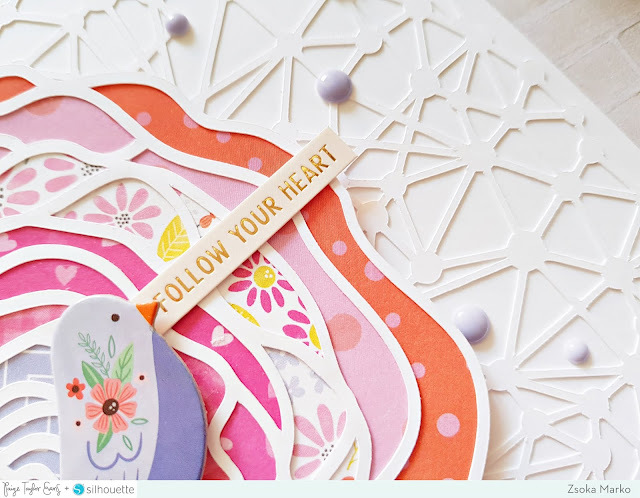 The sentiment is a chipboard piece. I picked the lovely Flower Background cut file for my last card. 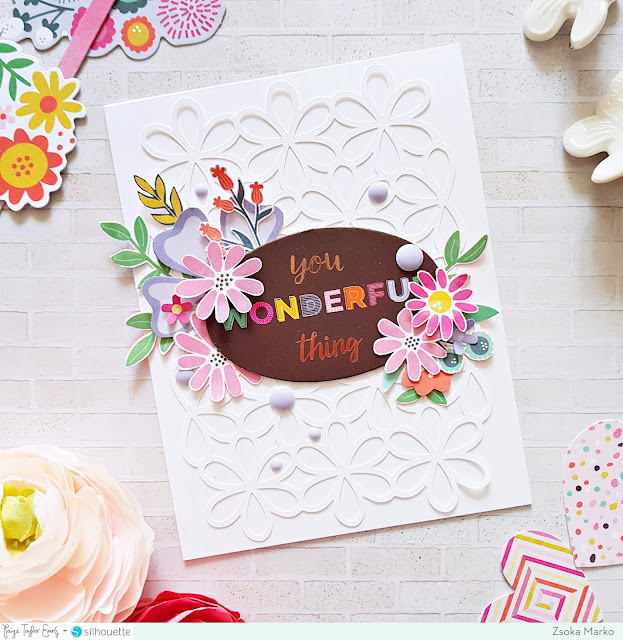 Instead of another cut file, this time I just added a chipboard piece in the middle as well as a bunch of fussy cut flowers and leaves in two clusters around the sentiment. Some enamel dots and done! I hope you like how these turned out! Thanks for stopping by today! Have an awesome day! Ohhhhhhhhhh these are JUST GORGEOUS! LOVING all the flowers and the colors are perfection!!!!!!! !